Encounters with John Bowlby: Tales of Attachment is an insightful, heartfelt and faithful homage to John Bowlby (1907-1990), the ‘father’ of attachment theory. The book unfolds as a touching and absorbing biographical journey into his life and work, where Bowlby is portrayed vividly through his individual, family and group attachment history, as well as his personal and professional development. This is a thoroughly researched and unique volume: a creative hybrid of scholarly erudition and passionately-delivered real life experiences covering the entire field of attachment. The work is co-constructed from the privileged position of sitting at the feet of the founder of the theory, drawing on his lifelong research and knowledge. The reader can learn from and identify with stirring, true stories that illustrate the struggle to become attached, to survive, and to grow. 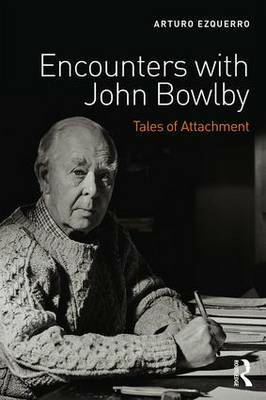 Encounters with John Bowlby will appeal to anyone who is interested in personal development and relationships. It will be of special interest to mental health professionals, psychotherapists, psychologists, psychiatrists, psychiatric nurses, social workers, psychoanalysts and group analysts, as well as other healthcare professionals, such as general practitioners and paediatricians. The text will also be useful to students undertaking doctoral courses or attending other courses related to attachment and John Bowlby.